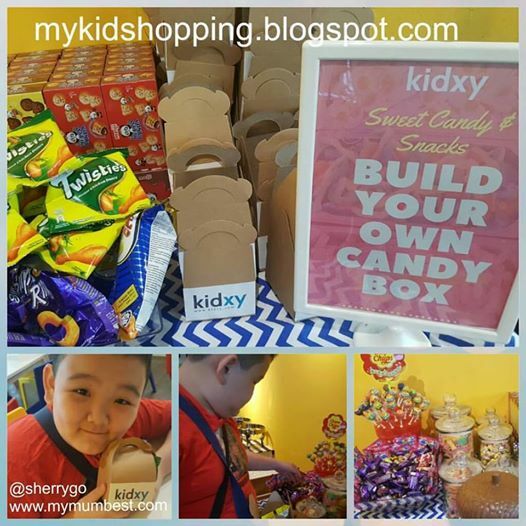 Last Saturday I attended the launch of Kidxy.com, it is an online platform offering the best kids' activities in the Klang Valley, it's one-stop solution for busy parents. The launched was held at BLOKKE, Citta Mall a family friendly place, there's a playground BLOKKE that children can play. Through strategic partnerships with kids activity providers in categories such as sports, languages, arts and crafts, music and rhythm, science and attractions, Kidxy.com aims to build an ecosystem for busy parents struggling to find education yet fun activities for their children, while offering a much-needed convenience to parents. The website is user friendly and easy to browse. WL also has his face painting at the event. There's playground in BLOKKE that they have good time together playing. Busy mom like me also need to find time to search for suitable activities for my children. Kidxy.com knows that today's Malaysian parents face a multitude of obstacles sourcing - and getting to - extracurricular enrichment for their kids, recently they have partnered with Riding Pink, Malaysia's First "Women's Only" Transportation Platform to provide a vital solution for parents who want the best for their kids but are unable to escape increasingly time-consuming work commitments. They also aims to benefit families with special discounts and offers within an ecosystem of a family that will enable parents to give their kids the best childhood enrichment, take care of their kid's health or groceries at home and yet also be able to enjoy necessary me-time. Through Kidxy's careful research of families' needs, a parent ca now, for example, order their fresh groceries via Happy Fresh and get them delivered right to their doorstep while they join their kid at Gymboree for a fun and enriching activity. Partner companies registered with Kidxy also benefit from a wider weekday reach to previously unattainable working parents, and increased weekend traffic from new customers. New service offering which is to allow parents to organise their kids birthday parties on Kidxy. Kidxy's "Plan A Party" service is build to ease the inevitable headache of organizing kids' birthday parties. Leveraging off their partners' wide variety of venues and activities that are built child friendly. Kidxy will not only be able to offer better packaged value, but also new ideas and added convenience for parents to plan the best party for their kids! "My team and I have always envisioned a platform which can help to take the stress away from parents- of not knowing where to send their kids for fun, educational classes. I have always looked at it as a means to also help our vendor partners grow their businesses. We have listened closely to feedback from partners and parents and that is why we have decided not to stop at kids' activities, but also provide services that evolve around an ecosystem that has - at its heart - the family." You can visit Kidxy, by click on the link to know more and get start to plan your kids activities. Group photo of Kidxy with partners and local celebrities. The local celebrities that came to the launch are Belinda Chee, Dynas Mokhtar and Joe Flizzow. Kidxy is an online platform based in Petaling Jaya, Malaysia that specialized in making kids' activities and party planning at child friendly places accessible to all. 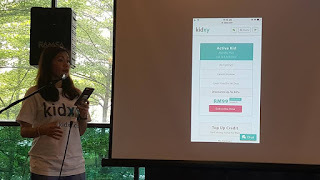 Founded by 3 individuals who are passionate about helping parents get the best deal with the convenience of finding enriching activities for their kids in the Klang Valley and beyond, Kidxy has already garnered immense interest from the public, registering over 5,000 subscribers within their 3 months. Kids these days are so lucky to have all these play centres at their disposal. 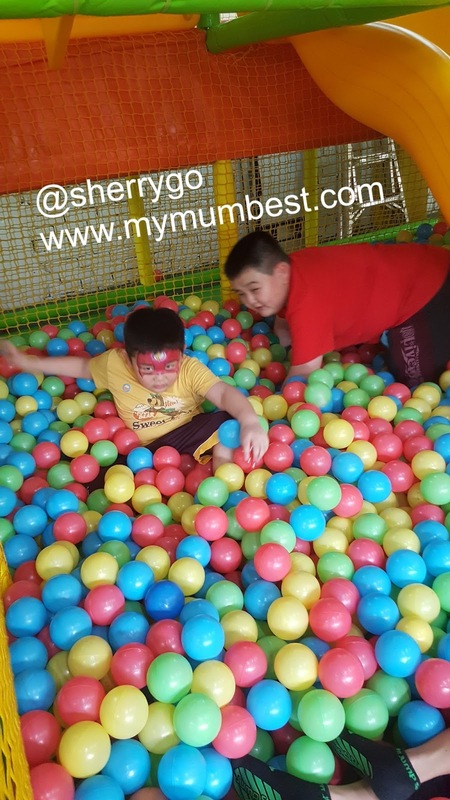 Kids get to socialise with other people their age and at the same time, play and be educated. Kidxy has many fun activities for kids. Glad your sons had fun. Saw the app the other day and the promos were good, will give it a go soon.